Big Bark NO BITE is an art piece I made from a large chunk of cotton wood tree bark. 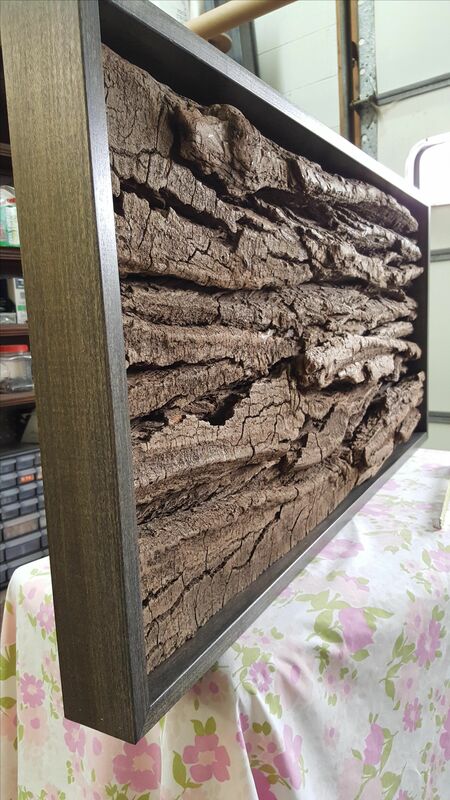 I cut and fit the bark into a rectangle and then made the frame to fit. The texture of it is incredible. 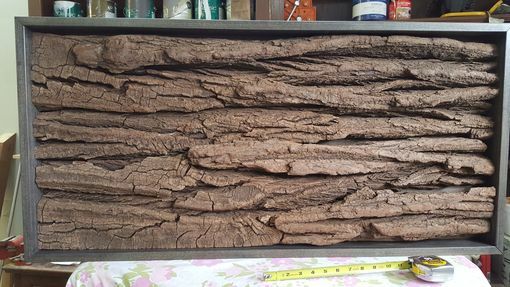 It is a very solid and heavy Wall hanging measuring 40 x 22 x 2.5"